With the release of their third album Full Bloom fast approaching on 16th November, Alpines recently shared a preview of what's to come with their single 'Alright'. Catherine and Bob from the duo break down the inspiration behind their latest single for us. We wrote 'Alright’… and had a feeling it would make the album. It has that very direct and powerful quality to it which is hard to ignore and put on the back burner. It comes straight from the heart with no detours. The story behind ‘Alright' is… both heartbreaking and hopeful. It was written because there is a lot of pain, but it is also a realisation that you are never alone and it’s okay not to be okay. Catherine: ‘I’ll be tearing up these streets just to tell you it’s alright’, is my favourite lyric because it represents that desperation and recklessness to get to that person you love above all else to be there for them, in that moment nothing else matters. Bob: "If you know that time is short, why you wasting it?” makes me think of how many people are accepting of situations that don’t work for them, just because sometimes it’s easier to bury your head in the sand and ignore what is really going on around you. It was made… over two years ago in our studio after watching the first series of The OA on Netflix. Our main inspiration was… to write something straight from the heart to reassure people it’s going to be okay. We all need to hear it sometimes. Also, the American suburban landscape setting Brit Marling had conjured up in The OA and the variety of characters in the series created a mood board when we were writing the track. This was also interwoven with memories of being a teenager, the struggles you face growing up and all-consuming power of first love. It sounds best when… you need reassurance that’s it’s going to be okay, even if everything feels hopeless. It’s a song to remind you to keep going, the hard times will pass. 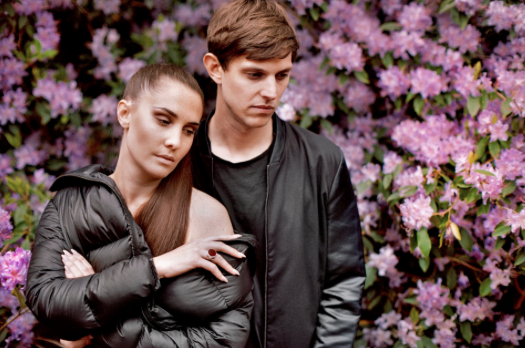 If you're in London on 15th November, you can catch Alpines at Rich Mix. More information is available here.